Remember those miniatures I won in a drawing that I wrote about a little while back? 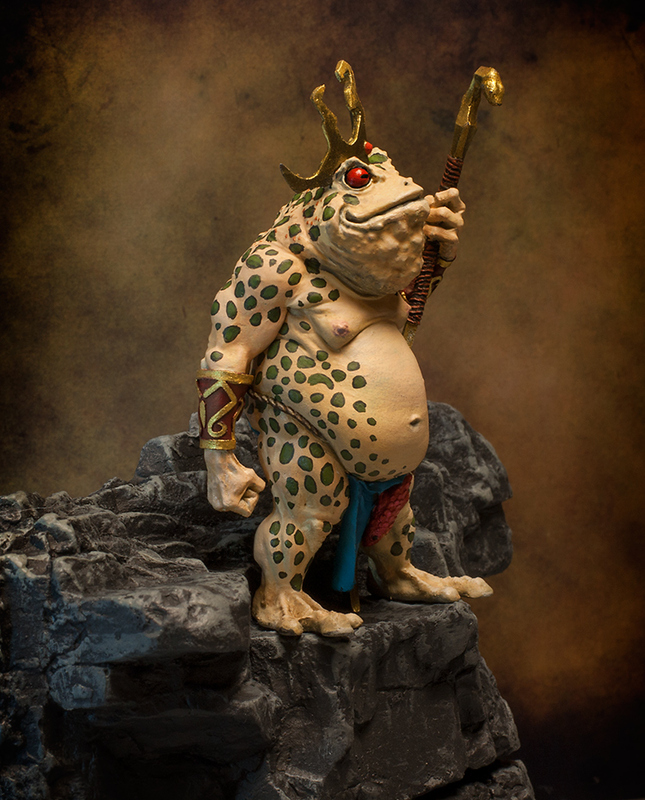 The company Aradia Miniatures, were having a contest for one of them – Toad King, and I decided to join in. I did get a pretty late start at this, and only had a weekend to complete this from start to finish. The Toad King is a great figure. 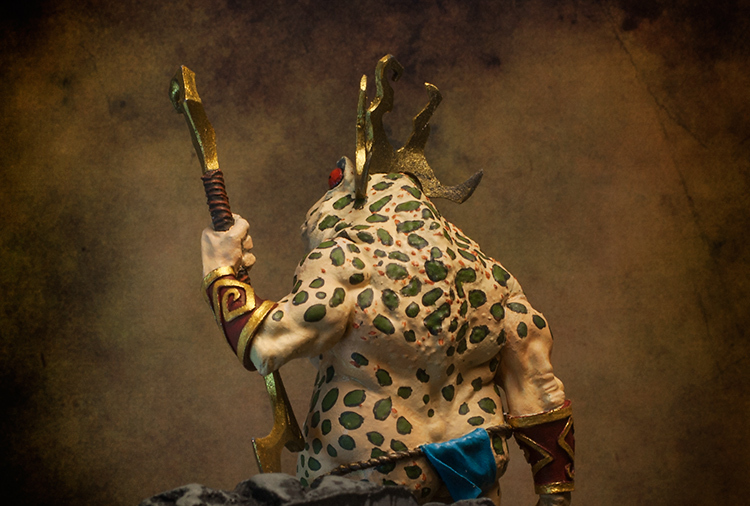 It did require some assembly – the left hand, right arm and loin cloth where all separate pieces. I decided to try to paint it like a real toad — the European Green Toad. In hindsight I am not sure this was such a good idea. Half-way through I though it looked horrible, but I guess it came together pretty nicely at the end. 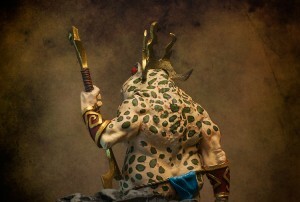 But if I were to start over, I would probably chose a darker color scheme, or possibly make him green. 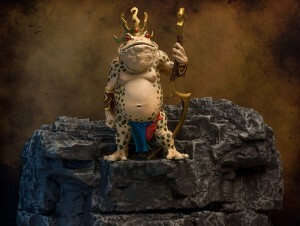 I make his base out of merlin’s magic and a rock mold I had. It ended up fitting pretty well with the figure.